This is a nice informal video from Sony Legacy Recordings with director Tom Tierney showing photos of Billy Joel album art for Turnstiles, Glass Houses, Songs In The Attic, An Innocent Man, and 52nd Street. For more information, see www.legacyrecordings.com. 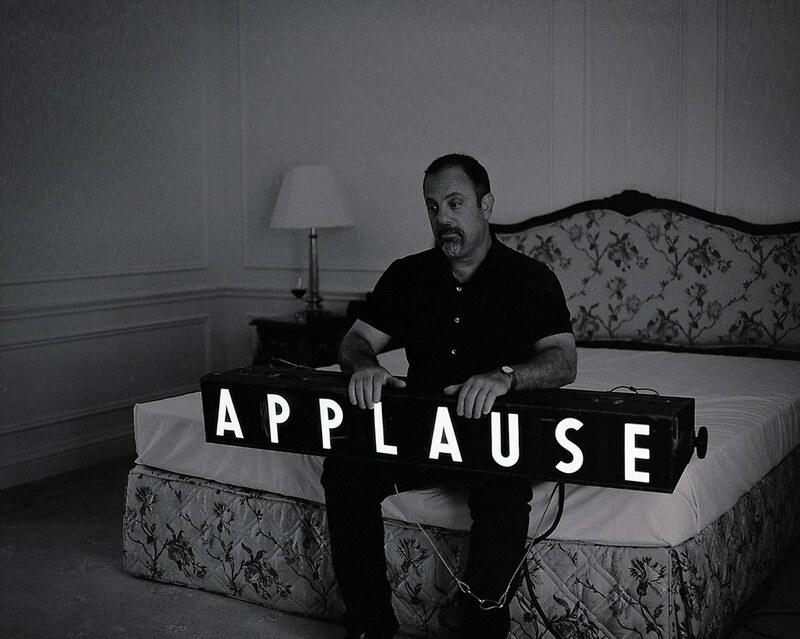 The official Billy Joel site has many interesting photos of Billy Joel organized into several galleries. It also includes a section of fan photos. There is also a special photo page on: Behind The Scenes: River of Dreams Photos. Getty Images is one of the largest photo management/licensing companies. They have thousands of stock photos and Billy Joel photos that can be viewed. If you have your own non-commercial site or blog, you can use some of these (go to gettyimages.com/embed). This is a great tool by Getty, see article. If you want to use other photos, or use photos for a commercial purpose, a license is required from Getty. Don Hunstein is a photographer who did work for Columbia Records for several decades. He took many well-known photographs of recording artists such as Billy Joel, Bob Dylan, Miles Davis, Thelonius Monk, Simon & Garfunkel, Aretha Franklin, Johnny Cash, and many others. Don took the photos of Billy Joel in New York in 1973 after he signed with Columbia Records such as the one to the right, as well as many other photos. You can purchase Don's book here. This is a nice article about him from "It's Nice That" in which his wife DeeAnne Hunstein tells the story of how they met and their life together. This is a fan photo page of Billy Joel which has many interesting photos taken in Long Island. 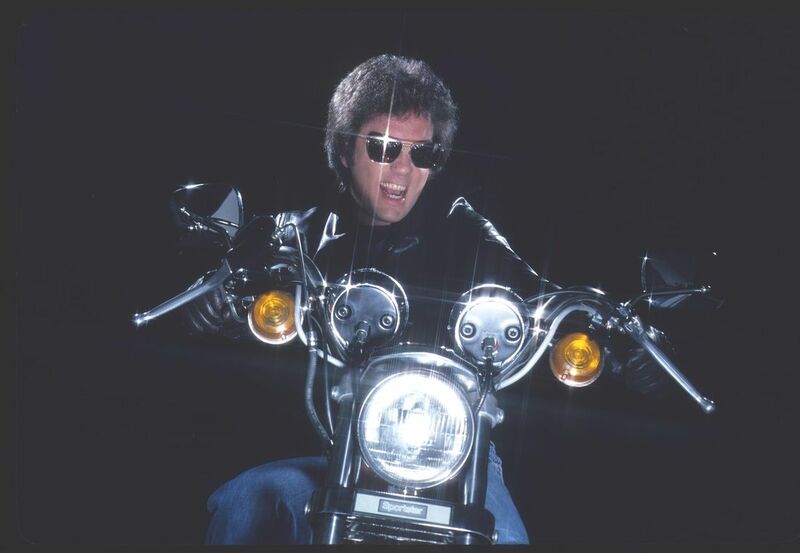 This photo montage is very good, it has some rarely seen photos of Billy Joel like the one showing Billy on a motorcycle (right). This is the best Billy Joel fan page on the Internet. Not only does it have many rare photos of Billy Joel, posted by fans and others, but it is frequently updated, managed well, and has a very active group of "Retolders." I recently came across this fan site, it has many rarely seen photos of Billy over the years, quite a collection. 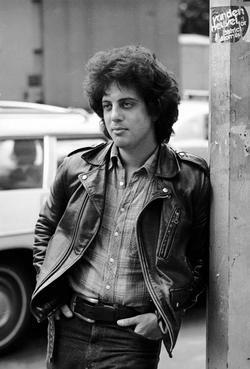 Billy Joel (1981). CBS Records publicity photo. Billy in New York (1973). Photo by Don Hunstein. The Sirius XM Radio Photo Montage of Billy has many rare photos like this one from 1980. Photo by Chris Buck (2001) which appeared in Blender Magazine. Read about the background of this photo, here. 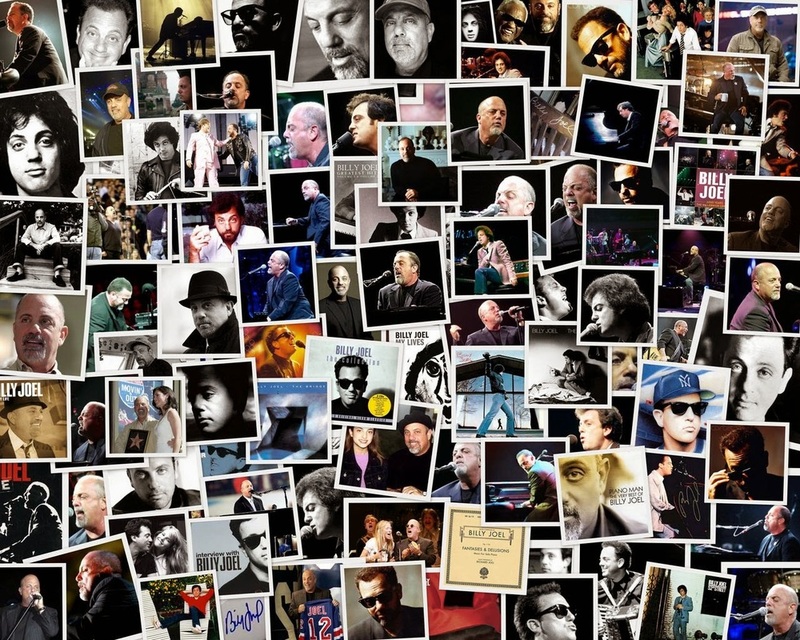 This is a great Billy Joel collage from the Rock on Vinyl blog.